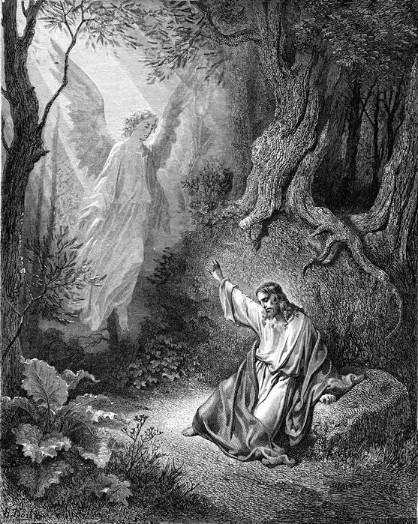 Jesus praying in the Garden of Gethsemane. Image provided courtesy of the Digital Image Archive, Pitts Theology Library. Pastoral Care is offered in a number of ways at St. Mark's. The church is happy to provide pastoral care and visiting to all people at home, in the hospital or other facility or at the church. A call to the office (519-735-4921) or an email will let us know that there is a need and will offer the opportunity to set up an appointment or visit. Services are also conducted at Tecumseh Extendicare, Aspen Lake and St. Clair Beach Retirement, at least once a month, for the residents of those retirement communities. Home Communion is a way that St. Mark's cares for the members of the parish that are unable to get to church on a regular basis. Home Communion Ministers are a team of licensed parishioners, who are sent forth by the parish to take communion to our brothers and sisters who are shut-in, in their own homes. The Home Communion Minister leaves church following their own participation in communion on Sunday morning, therefore, as worship is still continuing, it is in effect bringing church to the shut-in, and reinforcing that they are still an important and valuable part of the life of the church. Prayer List -If you wish to add the name to our Prayer List of someone who is ill, facing an operation, or dealing with troubling issues, or add the name of a loved one who has died, please contact the parish office at 519-735-4921 or by email. The parish staff and other parishioners pray daily for those on the Prayer List.